Whether you are getting married, have recently had a child, or about to retire, it is never too early or too late to begin planning for your estate and future health care or medical decisions. A detailed estate plan can help you protect your assets and indicate your wishes to your family should you become incapacitated. For over 31 years, The Law Office of Blair M. Johnson has provided the West Orange County and East Lake County communities with guidance and counsel in estate planning. 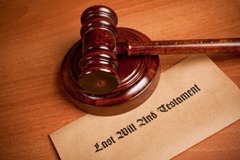 We will provide you with the information you need to make the best decisions for your estate plan. We will help you create a comprehensive estate plan that will protect your wishes and your family security in the future. Contact us today for an immediate consultation on creating your estate plan. We will take the time to inform you of all of your rights and options before creating your estate plan. You may be interested in a simple will without realizing that a trust could accomplish your goals more directly. We will be thorough in explaining the estate planning process and helping you create a comprehensive estate plan tailored to your families needs.